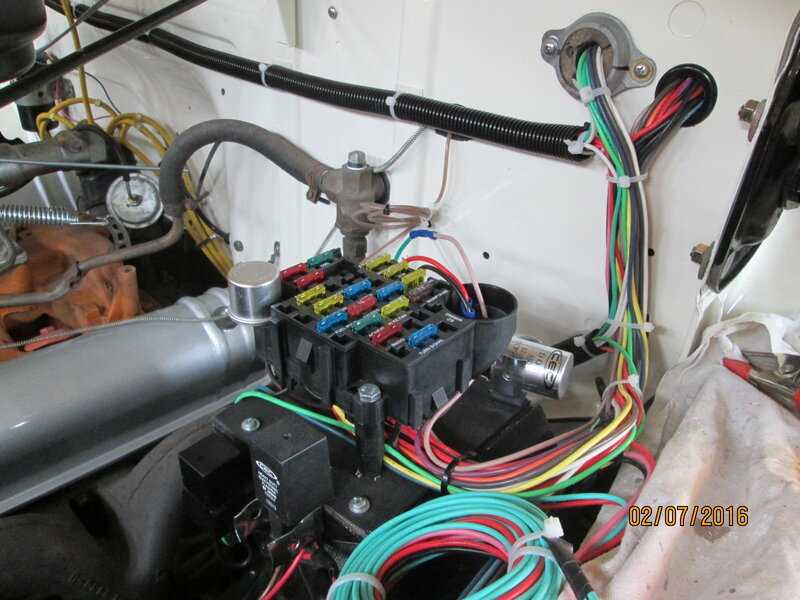 I would like to see pictures of fuse box locations and the start of your wire routing. 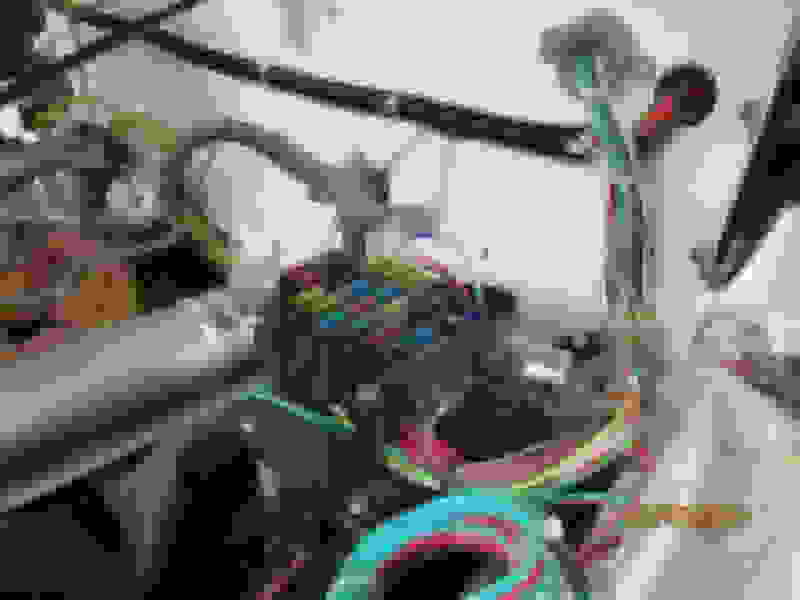 Also, did you install sound deadening insulation kit before or after wiring kit? contemplating order of installation. It appears insulation, wiring, windshield motor and linkage, vent linkage, speedometer cluster, then steering column and then seat??? lots of folks use different locations but most opt for under the dash left of column on firewall. 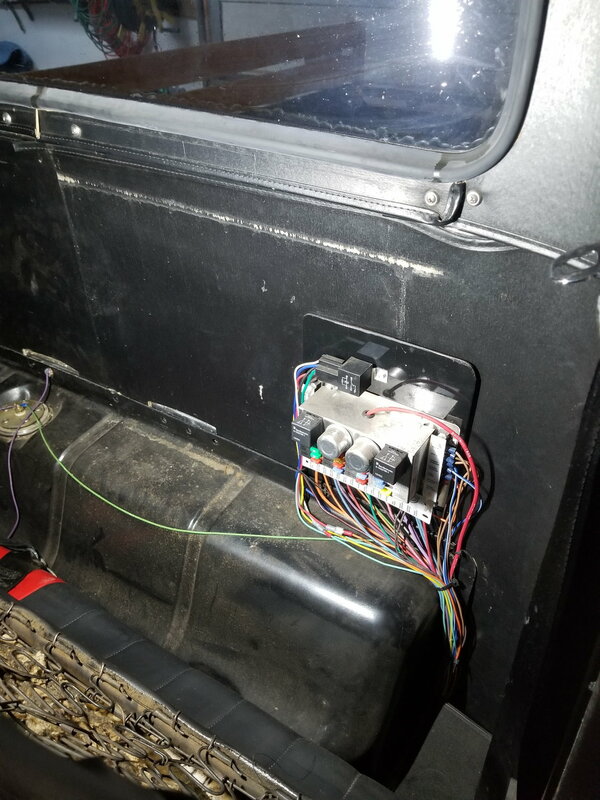 If you go with something extreme (under seat...in the passenger kick panel, etc) you will probably have to add more length to some of the wiring as most kits use the common install place. Now, that's not that big of a deal... just more work. My panel is in the usual location but mounted to a crossbar I fabbed between the two kick panel braces so it's up off the firewall. I also used this crossbar to secure some of the wiring and keep it neater. I did my column and seats first. They have to really be installed as a unit as the seat placement depends on the location of the column (or vice-versa)... then wiper motor/linkage. My wiper motor is in right kick panel with cable tube running up and across dash.. no real moving arms and such under dash. Make sure you have good clearances on moving parts. then insulation and soundproofing before anything else, I have no cowl vent. I stopped my insulation/soundproofing where the vertical part of the firewall meets the cowl under the dash at that seam. The seats weren't that big a deal as they came in/out several times anyway. Insulation worked around column shaft easily. 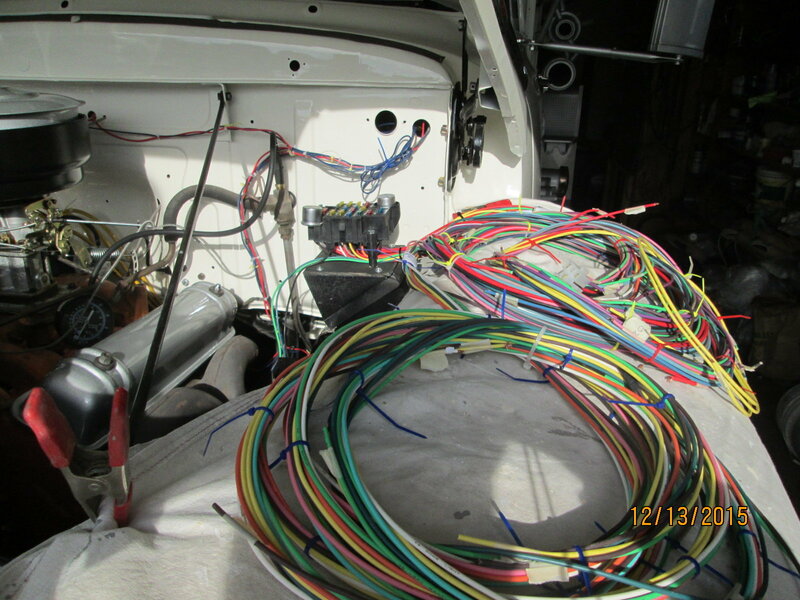 The dash cluster will have to be install WITH the wiring package so count that as a part of that install. Here's a couple of articles on insulation and wiring that might light some bulbs for you.. You, of course don't have to do it like I did, but they might give you some ideas or ideas about how not to do it !!! 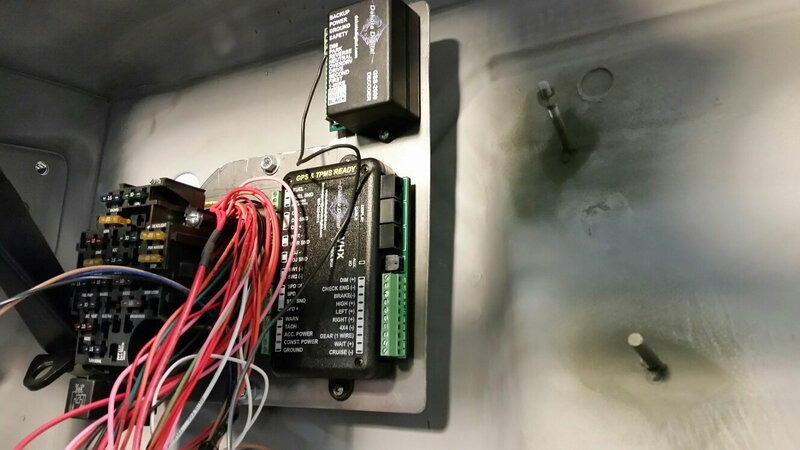 I made a mounting panel out of 16 gauge steel big enough to hold the fuse panel, Dakota Digital instrument panel and transmission sensors to. I welded two 1 1/2 inch long threaded studs to the firewall that I will mount the bracket to with a couple of 1/4" nuts. The panel will be about 1" from firewall. The panel is just to the right of the E-brake handle. The two studs you see to the right of the panel are two of the four I installed to mount the vintage air heater. I don't have any pictures but I mounted mine under the driver's seat on a drawer that slides out. It has a pin that locks it in place either way. I did make wires longer but it was easy. I mounted mine in the engine compartment on the inner fender. It was a little easier for me to work on.